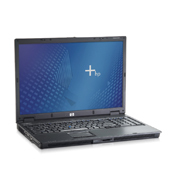 Overall I have found this HP Compaq nw9440 Mobile Workstation to be an eye-opener and a breath of fresh air coming from HP. 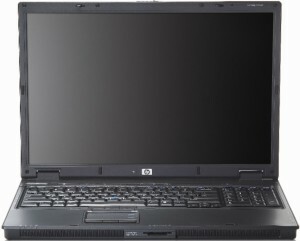 Admittedly, I have not been a fan of HP products in the past. This was, of course, before I tried their Business Class notebooks, which appear to be much different from their consumer line in overall quality. In the end, I got my notebook that, on the cover, looks all business; but inside has the power of some of the better gaming laptops. I would very much recommend it to anyone in my same situation, needing the appearance of a business-like laptop with the core of a gaming system hidden under the lid. Er ist extrem leistungsstark und hat sich als eine erstklassige mobile Lösung für den professionellen Videoschnitt herausgestellt. Auch HDV-Schnitt meistert er problemlos. An exceptionally capable professional tool that will be useful as part of a larger-scale deployment. Mobile workstations have been growing more capable relative to their desktop counterparts over the past few years. And now they're getting physically bigger too, with HP's latest machine sporting a 17in widescreen display and a native 1,920 x 1,200 resolution. With a footprint of 395 x 275mm, there'll be little room in a briefcase for much else, but it isn't shockingly heavy at 3.4kg.